They’ve only gone and dropped him. Dropped him as if he were a cricket ball and they were him standing in the slips at some point in the last 12 months. There’s a hideous video on the ECB Twitter feed where selector James Whitaker mouths the usual platitudes about Bell taking a break and reassessing before coming back strongly. But he isn’t going to come back, is he? If he comes back at all, it’ll be in tears and bearing petrol shortly before torching the ECB offices. It would take more than ‘hunger and desire’ to persuade selectors to recall a malfunctioning 33-year-old who publicly floated the idea of retirement earlier in the year. We only hope that they didn’t talk him out of calling it a day back then only to make the decision for him a few months later. That would be cruel. Then again, it would also be apt. Raising hopes, giving every impression that things are going to be just wonderful before a sudden and unheralded demise – the archetypal Bell innings. Turns out Ian Bell’s not retiring. You may have heard that he maybe possibly was. You may not. Either way, he isn’t. The umming and ahhing does hint that his career is nearly at an end though. Soon enough, the bell will toll and watching Bell will no longer take its toll. We should probably embrace his pure, unadulterated Ian Bell-ness while we still have time. Even earlier this summer, people were discussing whether a move to three might be the making of Ian Bell. That he is still widely considered unmade after 199 Test innings is quite something. There’s a certain art and majesty in continuing to maintain such a perception. Always leave people wanting more, they say, and Ian Bell generally delivers in that regard. Quite how a 33-year-old veteran can still be thought of as having promise is one of the mysteries of the age. One day, many years from now, he’ll move his zimmer frame just so and onlookers will see it as an indication that he’s finally cracked this batting lark. At this point, Bell will drop dead. Always one step ahead of us, Bell; constantly finessing what might one day be revealed to be the greatest post-modern joke in the history of sport. We’re way past Ian Bell 2.0. Being as he’s 33 and batting at three, we’re going to call this incarnation Ian Bell 33.3. Hopefully that won’t prove to be its batting average. Most of the previous Ian Bells have looked solid only to get out in infuriating fashion when you least expected it. This new version’s different. This one seems hell-bent on scoring at at least a run a ball and consequently its dismissal only ever feels a delivery away. But it’s fun while it lasts. It rattles along at a frightening rate, pinging drives through the covers and slicing back-cuts between the slip fielders like its risk-assessment circuits have malfunctioned. It was also good to see England attack a victory target with gusto. You can sometimes inch to a win and leave the opposition feeling more uplifted than you are. This was more akin to getting a few bonus jabs in before the next round. 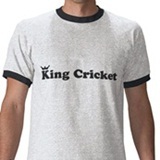 ‘Remember last time you bowled to me and I flayed you for three boundaries every over?’ you seem to say as you walk to the middle in the next Test. 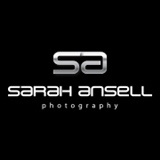 This isn’t really about Ian Bell. It’s about English cricket’s attitude to age and the impact of the international schedule as it is now. When an England player has a spell of poor form, it is generally described in one of two ways. Young players are ‘found out’ while older players are seen as being in terminal decline. In recent years, the latter message has been reinforced by the fact that very few England players have played on long past their 33rd birthdays. If you’re dropped at that age, it’s increasingly accepted that you’ll never come back. This then perhaps makes selectors reluctant to pick any player over 30 on the grounds that they don’t have much of a future. But 33 isn’t really so old for a batsman. Sachin Tendulkar, Graham Gooch, Rahul Dravid and Alec Stewart all made over 5,000 runs after their 33rd birthdays. In recent years, Shivnarine Chanderpaul, Kumar Sangakkara and Younus Khan have all scored at least 3,000 runs and averaged over 60 beyond that age. Mike Hussey, Misbah-ul-Haq, Jacques Kallis, VVS Laxman – all of these batsmen and plenty more held their own in this period of their careers. For England? Andrew Strauss can boast relative longevity, having made 1,601 runs after 33; Paul Collingwood made 944; and Kevin Pietersen made 682; but other than them, no-one. We have to go back to Graham Thorpe (1,635 runs) and Nasser Hussain (2,479 runs) to find anyone who’s made over a thousand in recent times and they retired in 2005 and 2004 respectively. Why so few? There’s surely a tale to be told in the countless broken bodies and minds. But is it also something cultural? A growing impatient lust for the new? Bell’s currently the old guy and almost because of this, there’s a feeling that he’s on borrowed time. It’s a battle to suppress the urge to bin him and rush onto the next thing. Who knows whether Bell feels this as well and whether it has an impact on his game. Perhaps that sense that it’s almost time becomes self-fulfilling. Bell is in poor form, no doubt, but it’s also true that the future will arrive one day and you don’t need to break into a jog to meet it early. Australia have spent the last couple of years proving that the present matters, unafraid to cling onto 49-year-old Chris Rogers or select 35-year-old Adam Voges for a Test debut. They’ve wrung plenty out of these players – and others – long after England would surely have discarded them. Neither team has an embarrassment of riches at its disposal, so it’s certainly possible to gain an advantage through making the most of what you have. 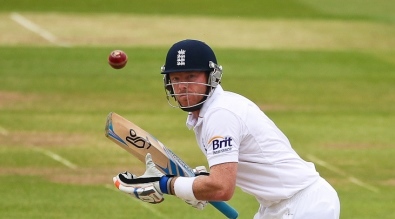 Ian Bell made 187 off 145 balls against the Prime Minister’s XI in England’s latest warm-up match. Okay, so it’s not exactly the biggest match ever – Chris Rogers bowled two overs – but what’s more reassuring, making 187 off 145 balls or making 26 off 38? 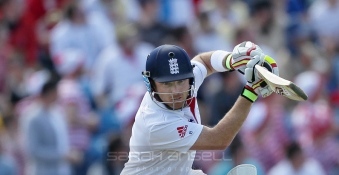 This constitutes further evidence that Ian Bell is not Alastair Cook. The match also provided evidence that Glenn Maxwell remains Glenn Maxwell. You’ve got to love a man who can score 136 off 91 balls one day and be clean bowled charging down the pitch to leave the ball in a Twenty20 match another day. There are a lot of optimists in the world and the problem with positive people is that they assume that positivity itself is some sort of positive. It’s all well and good swanning about thinking everything will work out, but really you’re just setting yourself up for disappointment and failure. The truth is things don’t always work out. Positivity can be good. It can be necessary. But it can also lead you to do stupid things. At one extreme, imagine you’ve just bought a bag of beef-flavoured Space Raiders. It requires minimal positivity to look on the bright side and assume that the things inside the bag are baked corn snacks and therefore edible. Result. You get to eat some food. An extreme pessimist, however, might perceive the same items as being made from some sort of radioactive compacted dust laced with strychnine. Boo. No food for you. Now imagine you’re standing on a high bridge across a canyon. You close your eyes and consider stepping off the side. Most people would assume that they would fall to their death were they to do that. An extreme optimist might think that a giant bird would just happen to fly underneath their foot at the exact moment they stepped out and hover there, providing support. Then another bird for their next step and another and another until they reach safety. Now these are two extremes, but positivity does slowly morph into delusion the further you move towards each end of the continuum. Somewhere between them there’s a grey area. For example, a recurring scenario in cricket is when a team has to choose between a familiar older player and a less familiar younger player. The point about shades is that you’re talking about gradation, which is why we’ve just resisted the obvious temptation to include a number with that subheading. We’ll go with ‘infinite’ if it makes you any happier. No two cricketing selection decisions are the same, but with really close calls it always boils down to how much of an optimist you are – how you perceive the absent data. You know what’s happened, but what will happen next? Let’s get specific. Ian Bell will open the batting for England tonight. Alex Hales will not. Is that the right decision or the wrong decision? Bell is familiar. Perhaps over-familiar would be a better way of putting it. For better or worse, we don’t feel like there’s anything left to learn about him. Alex Hales is newer. He had a strong domestic season and has a really good record in Twenty20 internationals, but as a 50-over opener, he’s more of an unknown quantity. We can compare stats and technique and approach, but a large part of the argument seems to hinge on what Hales might do. If you’re inherently positive, you’ll say Hales might win England matches with aggressive hundreds. If you’re of a more negative mindset, you’ll say he might rack up a great string of single-figure scores. So Ian Bell is not Alastair Cook then? Correct. Chances are, on some level you’re aware of this fact, but we thought we’d provide a reminder. People talked so much about how bad it was to have Bell and Cook in the same top three that the two batsmen have almost become interchangeable when we talk about one-day cricket. Hales, in contrast, was fortunate enough to be kept out of the side by Cook and has therefore become symbolic of the brave new Cook-less world in which everyone hits sixes from ball one. If we’re looking at their technical suitability for one-day cricket, Alastair Cook has three shots and Ian Bell has about 42. If we’re looking at the stats, Cook clearly ground to a halt, but Bell has been surprisingly effective for a while now. In 2012 – the year that England became the top-ranked one-day international nation – he averaged 54.90 and scored at a strike-rate of 82.68. In 2013, he averaged 43.00 and scored at 76.87. In 2014, he averaged 34.21 and scored at 90.89. You can look at those figures two ways. You can say he simply doesn’t score quickly enough for the modern day and age, or you can say that it’s unrealistic to expect everyone in your batting line-up to perform like David Warner. Warner, for the record, averages 31.40 in one-dayers with a strike-rate of 83.50. It’s true. He might. It really is hard to argue against that, because it’s absolutely true. We’ve even said that Alex Hales and Moeen Ali would make a great one-day opening partnership ourself. We’re not trying to make a case here. It’s a grey area and that’s really our point. If we have some sort of message, it’s that the ‘better the devil you know’ argument is rarely a crowd-pleaser, but that doesn’t necessarily make it wrong. Well that was – actually, what was that? It’s probably a bit early to be committing to specific words, so let’s not. England have won the Ashes. That’s a functional way of saying it. You can add your own emotions internally. England won every Test in which Ian Bell scored a hundred. Shermination complete. It was seat of pants airborne travel for the editor working on the Channel 5 highlights show with the fourth day of the fourth Test pushing on past 7pm. Chapeau to them and chapeau to Stuart Broad and Tim Bresnan – the latter taking second billing thanks to a couple of key wickets and some might fine lower-order whoppery in the morning session. We’re not sure how confident England were that Australia’s middle order would showcase how Simon it is, but that’s kind of what happened after Bresnan’s stemwinder of a delivery dismissed David Warner. The resilience seemed to just drain away as if it had been floating in the toilet bowl waiting for someone to flush. It’s not all bad news for Australia though. In Rogers, Clarke and Harris, they’ve unearthed some talented young cricketers for the future. When did Ian Bell turn into a big, relentless steamroller? He always used to be a two-seater sports car. He was sleek and flash, but entirely impractical when you came to do the big shop. These days he’s not just practical, he’s reliable as well. His big engine chunters away as he flattens mile upon mile of tarmac for the benefit of his team-mates. If they later run out of fuel, he goes back and gives them a tow. In the last Ashes series, Alastair Cook and Jonathan Trott scored incredibly heavily. But that was different. That was about ensuring they made as many runs as possible. The 2013 Ashes has been more about whether a batsman can make any runs at all and for the most part it hasn’t happened – unless The Steamroller’s been at the crease. 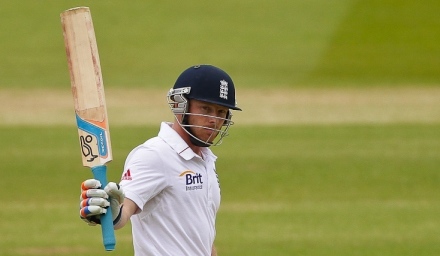 We’ll tell you what: Ian Bell was not due a big score today. It’s also worth noting that Bell’s contributed to putting 133 overs into Aussie legs. We all know the Aussies love a bit of rotation (possibly influenced by Kylie Minogue) and with the next Test starting on Thursday, boring stuff like batting like a ploddotron for most of a day can have a double impact. How’s the Test going? The whole thing’s made us feel giddy and we’ve lost all critical faculties.